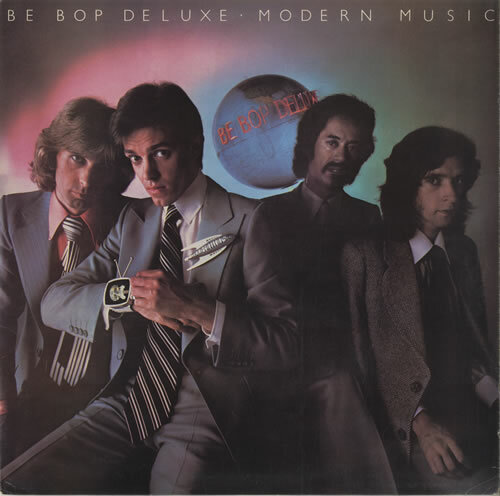 BE BOP DELUXE Modern Music (1976 UK Harvest label 15-track vinyl LP including Dancing In The Moonlight & Kiss Of Light, picture sleeve with lyric card inner. The sleeve shows light wear with just a few creases around the edges, the lyric cardinner has a small hand written annotation in the right hand corner but is otherwise in good condition, the vinyl reveals few signs of play and has two nice Harvest labels SHSP4058). or visit our Be Bop Deluxe image gallery.